For a limited time, Branson's shows won't be the only live entertainment in Branson! 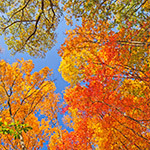 From the first tint of color, until the last leaf falls, the fall foliage of the Ozark Mountains provide one of Mother Nature's most amazing and beautiful shows. If the past is any indication, and everything keeps on going like it's been going, visitors to Branson can expect a spectacular fall foliage show this year! Read entire article here. For as little as $259 for 2 nights, make an autumn escape to Branson to see the legendary Presleys' Country Jubilee! Stay in cozy lodging, receive a $30 certificate for Branson's premier dining spots, and nab a Guest Card Savings Book! Add a night and add a show; Hamners' Unbelievable Variety, The Haygoods, Legends in Concert, it Starring the Hughes Brothers, or the Adventures of Marco Polo. Make it a holiday trip and see Presleys' Christmas show; 3 nights lets you add a Christmas show at Hamners', Hughes Brothers, Legends in Concert, or the Haygoods. View package here. 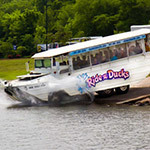 "One of the great things about Branson is that there are so many amazing ways to be entertained and have fun," said Annette Wood, the Director of Sales and Marketing for the Branson Tourism Center. 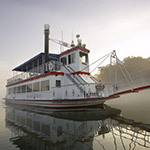 "The summer months, through Labor Day, provide the greatest access to all of Branson's water-related activities, and they will all be in full splash mode over the Labor Day Weekend for families to enjoy," she adds. Read entire article here. Is the heat of summer the ideal time to plan your visit to see Ozark Mountain Christmas? "Yes! Why do we recommend planning for Branson's Ozark Mountain Christmas, an annual event that runs from November 1 through December 31, in the 90-degree-plus temperatures of summer?" asked Annette Wood, the Director of Sales and Marketing for the Branson Tourism Center, one of Branson's largest and most respected vacation planning services. 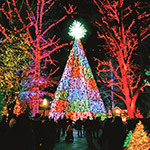 "The simple answer is that Ozark Mountain Christmas is easily the most colorful, exciting, inspirational, and busiest time of the year in Branson," she added. 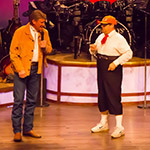 If you were going to pick a comedy trifecta in a Branson show wouldn't it have to include Presleys' Country Jubilee? Branson's nearly 100 shows offer a variety of live entertainment that would be the envy of any major tourist destination. 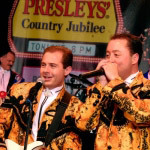 That variety includes spectacular productions such as Jonah or Million Dollar Quartet; music shows covering every genre of music including rock n' roll, country, gospel, and just about everything else in-between, including magic shows, comedy, and much more. Read entire article here. 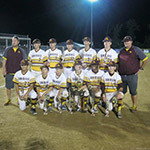 When the Continental Amateur Baseball Association (CABA) Champions, the Academy Select Sun Devils from Dallas Texas, scored the last run in their victory over the American Amateur Baseball Congress (AABC) Champions, the PL Siege, from Pembroke Lakes, Florida, at the inaugural Youth Baseball Network 12 and Under National Championships, it represented two firsts. One first was crowning of the first Youth Baseball Network Champion; the second was Branson's hosting of a National youth baseball championship of this type as part of its expanding interest in youth baseball.